A beautiful handtied bouquet of 12 luxury white roses with gypsophila and a selection of stunning foliage. The bouquet will be aqua packed and presented in a gift bag. 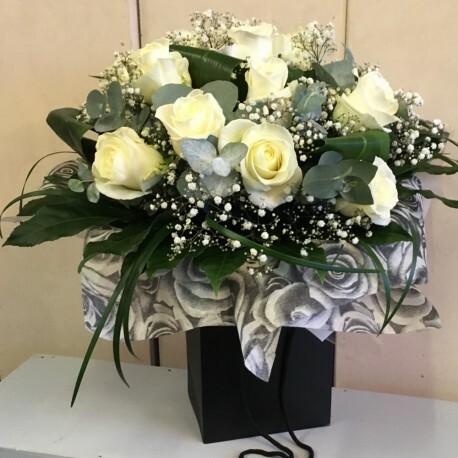 Flowerscene are delighted to offer this product for delivery in Aberdeen and the surrounding areas.